2017 marked the beginning of a dangerous new era for anti-public lands behavior in the federal government. CalWild and its partners are united in facing the increasing number of threats coming from Congress and the Trump administration, and we’ll be tracking our resistance to the policies that pose the greatest threat to California’s public lands here. See our Top 5 Threats here. We are also monitoring progress of a number of lower priority threats, which you can view here. President Trump has staffed his cabinet with pro-industry bureaucrats and executives from powerful corporations like ExxonMobil, avidly neglecting the health of our natural resources and our local communities in the process. These appointments will make our job that much harder in the coming years, as well as making it that much more important that we engage everyone who is opposed to them and the policies they stand for. Luckily, we know that the majority of Americans support public lands and wilderness areas, and that grassroots activism can generate real change at the federal level, even against the toughest odds. Fast-tracks construction of the Temperance Flat Dam, which would drown the San Joaquin River which is recommended for Wild & Scenic protection by the BLM, as well as inundate a couple thousand acres of lands with wilderness characteristics. Reduces water deliveries to federal and state wildlife refuges in the Central Valley, increases pumping of water from the Delta, eliminates the San Joaquin River Salmon Restoration Program, and weakens the Endangered Species Act. 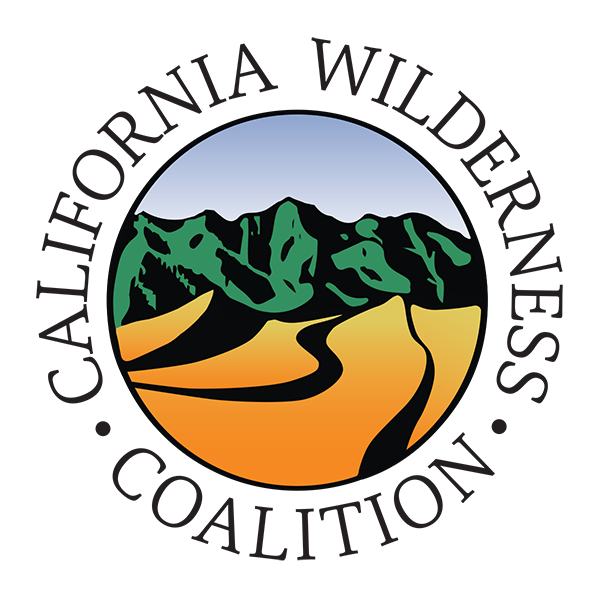 Would allow the use of non-motorized bicycles, motorized or non-motorized wheelchairs (already allowed in wilderness), strollers, wheelbarrows, survey wheels, and game carts in wilderness. Wheelchairs are already allowed in Wilderness. The 1990 Americans with Disabilities Act reconciled itself with the Wilderness Act of 1964 by saying that people who use wheelchairs for everyday indoor mobility are allowed to use them in a wilderness area. A wheelchair or mobility device, even one that is battery-powered, so long as it is designed solely for indoor use by a mobility-impaired person, is already allowed anywhere foot travel is allowed, even in federally designated wilderness. Would create numerous new “categorical exclusions” (CE) from the public participation and environmental analysis requirements of the National Environmental Policy Act (NEPA). The CEs would apply to both Forest Service and BLM lands. Would “expedite” the NEPA process for salvage logging and reforestation activities after large-scale wildfires or other natural disturbances. Would get rid of opportunities for judicial review in several ways by eliminating or constraining the ability of citizens to challenge federal forest management decisions in court. Would significantly weaken the interagency consultation requirements of the Endangered Species Act (ESA). Includes convoluted language about roadless area management that could be interpreted to eliminate current regulatory protection of Inventoried Roadless Areas under the national Roadless Area Conservation Rule and the Idaho and Colorado roadless rules. Would make several changes in the Secure Rural Schools Title II program that aim to shift the program’s emphasis and funding from environmental restoration to timber production. Would also shrink the size of RACs from 15 members to just 9 members, change the approval process from super-majority to simple majority rule, and limit RAC membership to local residents. Would add procedural hoops to road decommissioning, it would allow the logging of old-growth forests in Oregon and Washington, and would roll back the management of federally protected lands in northern California and western Oregon, including the Cascade–Siskiyou National Monument. Officials would manage the lands pursuant to the Oregon and California Lands Act of 1937. The nearly 87,000 acres of Cascade–Siskiyou forest would lose all protections imparted by President Clinton’s national monument designation in 2000, and President Obama’s subsequent expansion in 2017. “Covered” activities include: manual cutting and removal of juniper trees, piñon pine trees, other conifers; mechanical mastication, cutting, or mowing, mechanical piling and burning, chaining, broadcast burning, or yarding; use of a herbicide, pesticide, or biological control agent, subject to the condition that the use shall be in accordance with applicable legal requirements, Federal agency procedures, and land use plans; installation of new, or modification of existing, fencing or water sources intended to control use or improve wildlife habitat; and construction of temporary roads. “Covered” activities that are excluded: any activity conducted in a wilderness area or wilderness study area; or any activity for the construction of a permanent road or permanent trail. While these exclusions are good, the bill would still allow DOI to engage in many types of destructive and extremely impactful activities without any kind of environmental review. The likely purpose(s) behind this bill – to “create” more sage grouse habitat, thus providing the ability to increase oil and gas development and cattle grazing in existing sage grouse habitat. May also be an attempt to get the support of hunting enthusiasts with the inclusion of mule deer habitat. Prohibits Federal agencies from impeding, prohibiting, or restricting border patrol activities on federal land located within 100 miles of the Southern Border. Provides $10 billion for the deployment and construction of tactical infrastructure and technology including wall, fencing, technology, air assets, and other barriers. Bill could negatively impact wilderness, wilderness study areas, ACECs, California Desert National Conservation Lands and other conservation areas. Would amend the Wilderness Act to allow U.S. Customs and Border Protection to do the following within a wilderness area: gain access to structures; use motor vehicles and aircraft; deploy temporary infrastructure in “emergency situations” (without defining “emergency”); construct and maintain roads and fences with approval of DOI. Bill says that these activities “shall be carried out in a manner that, to the greatest extent possible, protects the wilderness character of the area” which is vague and subjective and completely unenforceable, thus leaving wilderness at the mercy of U.S. Customs and Border Protection. Would give the provision of opportunities for hunting, fishing, recreational shooting, and fish and wildlife management, top priority in Wilderness, rather than protection of wilderness characteristics. Would allow virtually any activity that would “facilitate, enhance, or both … wildlife conservation programs and projects or provide fish and wildlife dependent recreation opportunities” in Wilderness Areas, Wilderness Study Areas, lands designated as wilderness or administratively classified as wilderness eligible or suitable and primitive or semi-primitive areas and National Monuments. Would allow the construction of “temporary” roads to facilitate recreational uses and conceivably would allow the construction of other structures within Wilderness areas. Would remove Wilderness Act prohibitions for agency managers against motor vehicle use for any management activities related to fishing, hunting, or recreational shooting, or for any wildlife conservation activities. Would exempt all of the above actions from National Environmental Policy Act (NEPA) review. All of the above can be found in Section 403 of Title IV. Would prohibit actions that impede border security on certain Federal land. The Secretary of Agriculture or Secretary of Interior would be prohibited from impeding, prohibiting or restricting Customs and Border Protection (CBP) access to Federal land within the 100-mile zone if they are executing search and rescue operations or preventing unlawful entries into the US. This includes entries by terrorists, unlawful aliens, instruments of terrorism, narcotics, and other contraband. Would give Border patrol “immediate access” to federal land within the 100-mile zone for use of vehicles to patrol/apprehend “illegal entrants” and to rescue people; and for the construction, installation, operation and maintenance of tactile infrastructure (fence, wall, checkpoints, etc.) and border technology (any Federal equipment including fixed wing aircraft, helicopters, four-wheel drive vehicles, sedans, night vision goggles, night vision scopes, and sensor units use, for the purpose of detection, interdiction, and reduction of illegal immigration into the United States). Does not apply to state or private land. Does not affect tribal agreements. The administration and Congress have been increasingly interested in rescinding recent National Monument designations, specifically those of Bears Ears (UT), Katahdin Woods and Waters (ME), and Cascade-Siskiyou (OR/CA) – the latter of which CalWild helped expand in President Obama’s final week in office. California’s most recent Monuments, including Mojave Trails, Sand to Snow, San Gabriel Mountains, Cascade-Siskiyou, and Berryessa-Snow Mountain, are vulnerable to any revocation or reduction attempts. Additionally, Carrizo Plain and Giant Sequoia also face review. No President has ever revoked a National Monument before, and legal experts are confident that even an attempt is illegal if not foolhardy, time-consuming, and most certainly litigious and a drain of public resources. 6/26/17: Thanks to our D.C. ears and eyes, we were alerted to this with enough time to coordinate in a big way with our allies across California and the country, sending a loud message to D.C. that the public does not support this review. 6/12/17: Secretary Zinke recommended that Bears Ears National Monument in Utah be shrunk but did not quantify the new proposed size. This is an alarming beginning to the recommendation process and could set a precedent for further recommendations. 6/12/17: Secretary Zinke announces that the DOI will not seek changes to the Hanford Reach and Craters of the Moon monuments in Washington and Idaho, underscoring a likely attempt to change the remaining 25 monuments under review in the coming weeks. Announced a mere 2 days after the comments session was closed – hardly enough time to read a fraction of that 2.7 million comments – this move reveals just how arbitrary the decision-making is at the current DOI. Rep. Rob Bishop [R-UT] is trying to use the House budgetary process to earmark $50 million dollars (not coincidentally, the annual budget of the National Conservation Lands) to make easier the transfer of public lands and wilderness areas to the states, a long-lived fantasy of extremist Republicans that seems downright plausible under President Trump and the 115th Congress. Take action on this NOW. Despite our actions, Conservatives used the Congressional Review Act to overturn a progressive new Bureau of Land Management (BLM) policy dubbed “Planning 2.0,” which would have increased public input for land management decisions for that federal department. Read more about Planning 2.0 here. This internal move anticipates future attempts to dismantle federal public lands designations, which have been proven to help generate more jobs and increase economic health in counties across the country. Take a stand for wilderness right now! Catch up on the latest news and opportunities to take action. Join our email list to receive the latest threats and actions. Donate today to help us continue fighting.